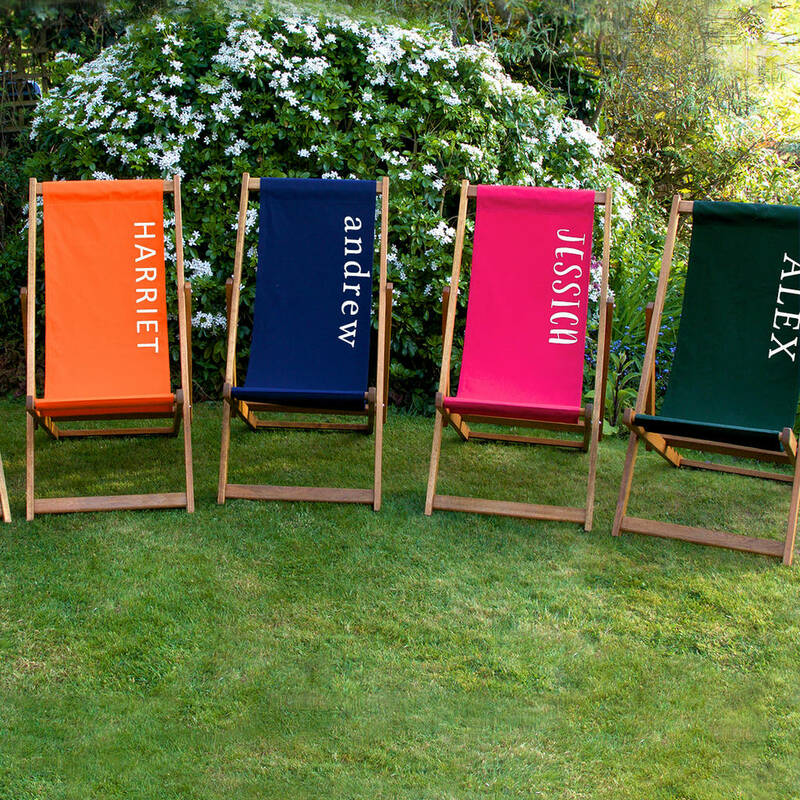 These personalised deckchairs are available in six very contemporary colours - Pink, Dark Green, Navy, Grey, Orange and Black, with a range of font options. 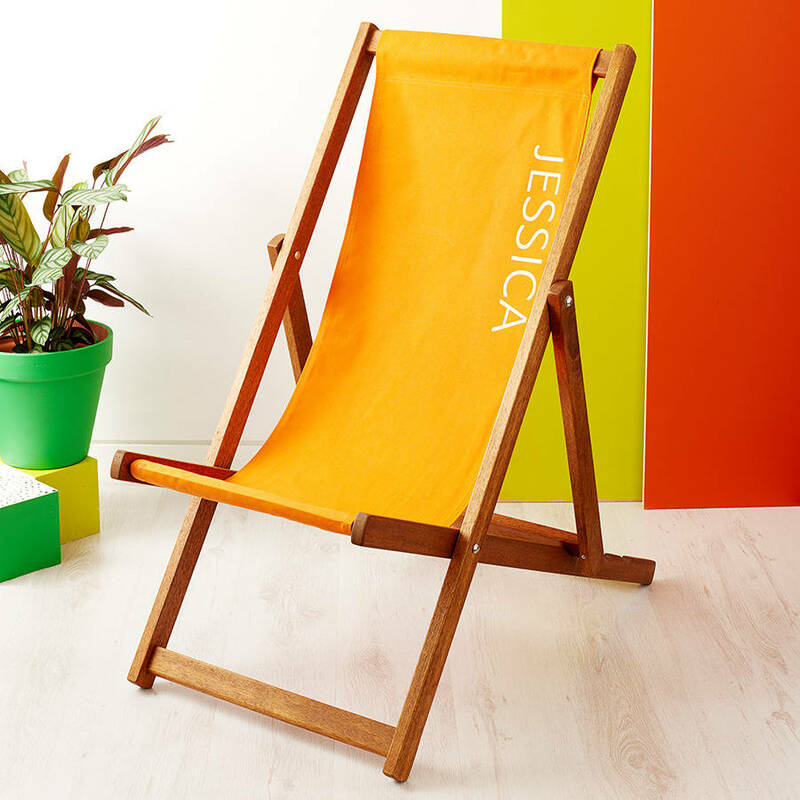 They are perfect for the garden, picnics and, of course, on the beach. 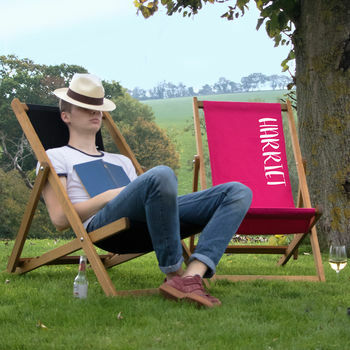 The timber frames are made with a sustainable and durable hardwood and are then finished off with teak oil. We chose these frames as they are noticeably more solid that those spindly, wibbly wobbly cheaper ones. Also the timber has been sustainably sourced and has PEFC accreditation. 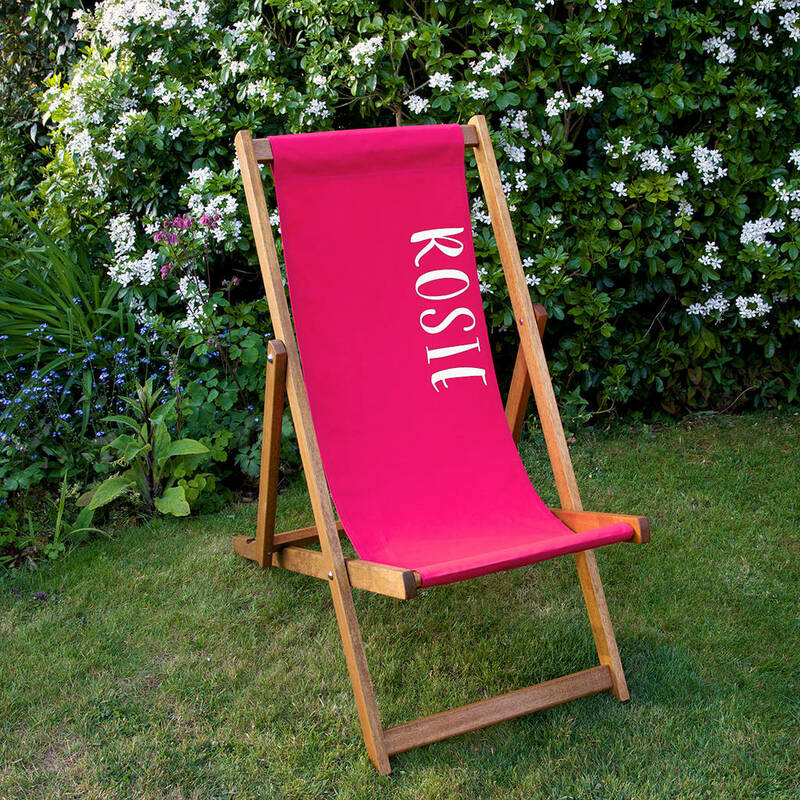 The fabric is 100% cotton and has a nice natural spring to it which makes it very comfortable. 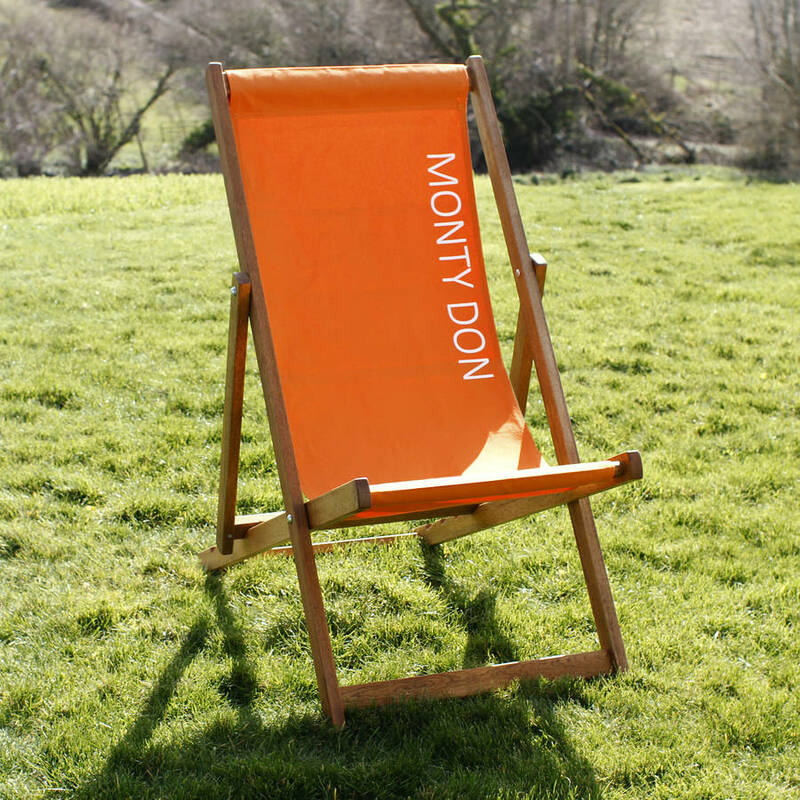 Although shower proof we do not recommend leaving these Personalised Deck Chairs outside on a continuous basis. There are 6 sling colours to choose from: Pink, Dark Green, Navy, Grey, Orange and Black. 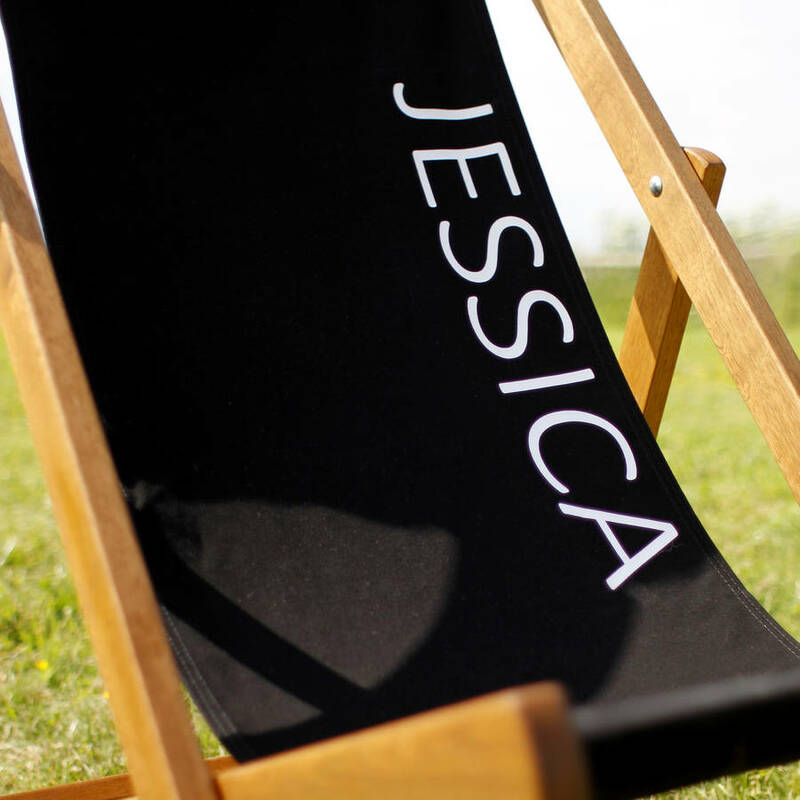 The personalisation is done in a white colour down the side of the sling. 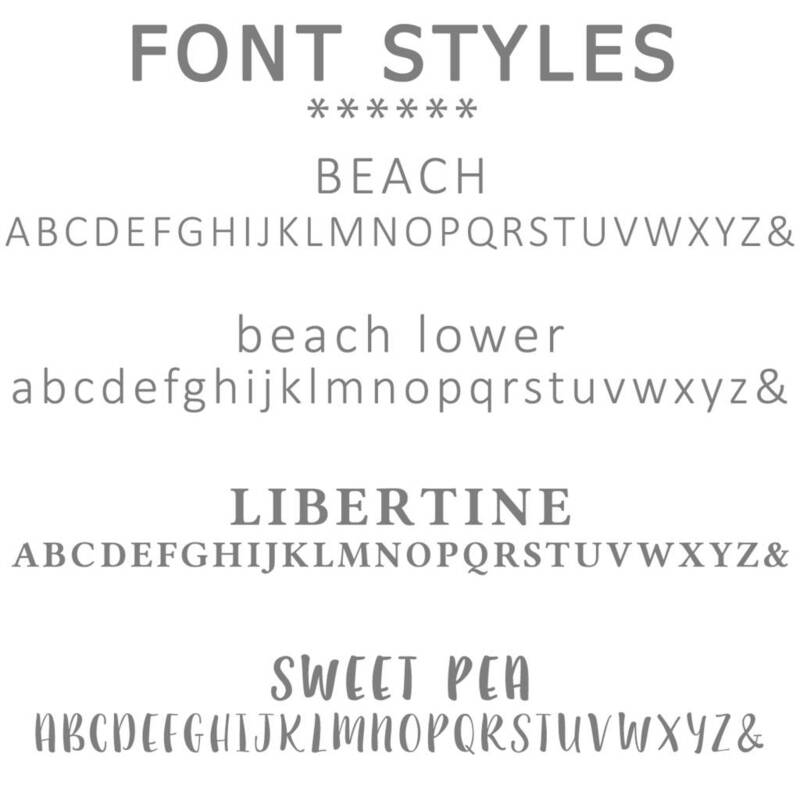 There is a range of fonts to choose from. 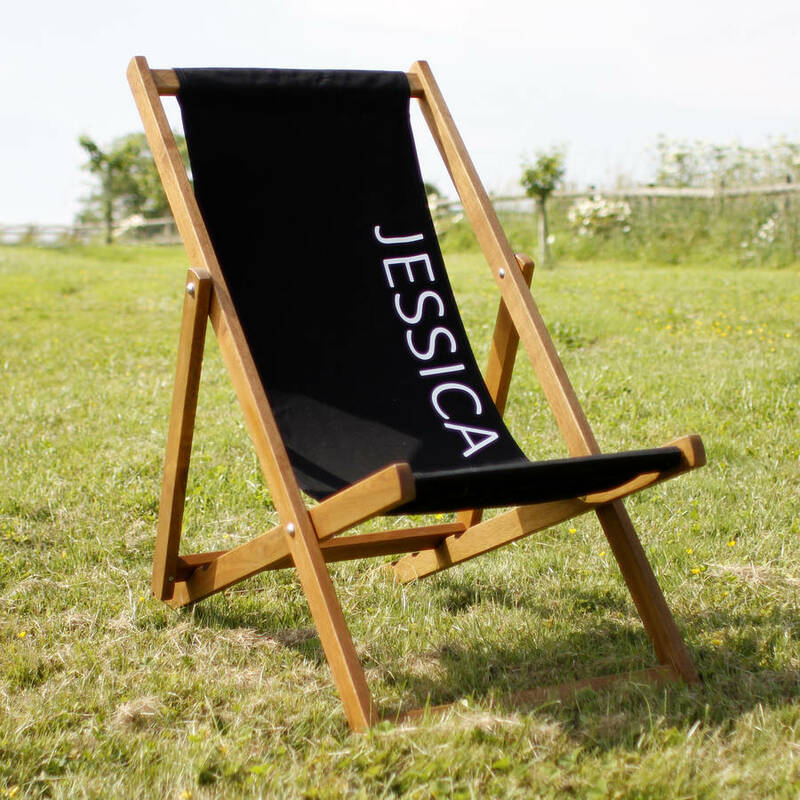 Your personalisation will be done in capitals apart from the Beach lower font which will be lower case only.There is a limit of 15 letters.Please note that personalisation is not compulsory so do please let us know if you would rather not have a name or word printed.